Danielle Pandeline a.k.a “Dee” keeps the office jobs rolling at Orlando Mustang. She brings her B.A. in Photography from the University of Central Florida along with computer skills to Orlando Mustang. Dee oversees all the advertising, maintains the web site, photographs vehicles and parts for the ads she creates while wearing several other hats around the shop! Danielle drives a 2012 Mustang GT when she's not out training for 5K and half marathon events. 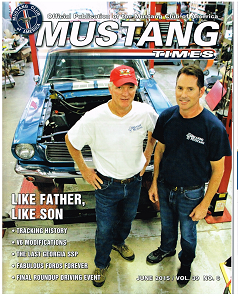 Peter Geisler Jr was involved in Mustangs from early age, owning his first at only fourteen, a black 65 original paint Mustang coupe. Pete Jr. manages the day to day repairs and restorations. He personally test drives and inspects each job before the customer. Pete Jr. has worked closely with Mustang Club of America Judges to build the cars to "concours trailered" rules of MCA. He documents all repairs with digital photos and labor details are included with restoration history. 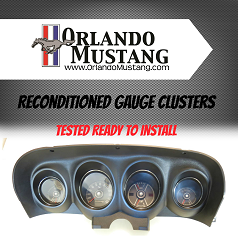 His attention to detail is the reason owners seek Orlando Mustang and are willing to wait for the best restoration work available. Peter's current rides include a 2003 Red Mach, 84 Red GT Convertible and eventually will complete a 92 Green Hatchback Race car, aptly named the "Money Pit". Ann Geisler supports the company’s back office operations and enjoys attending Mustang shows. Her full time job at Southern Cross Insurance Solutions, LLC. The agency specializes in business insurance solutions. Thank you for taking the time to visit us! 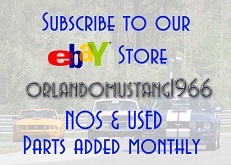 Please feel free to contact us with any questions at 407/688-1966 or email us at orlmust@aol.com.